T U Kingsbury (British, active 1874-1878) Known to have exhibited at Society of British Artists, Suffolk Street, London. His works are mainly maritime. 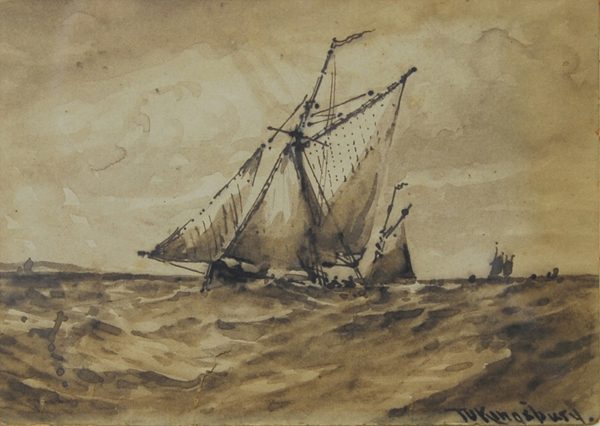 This small sepia watercolour sketch was probably a study for a larger painting. Sepia watercolour study possibly for larger painting.